Custom Sublimated Field Flag Covers Approximately 12 x10 inches. 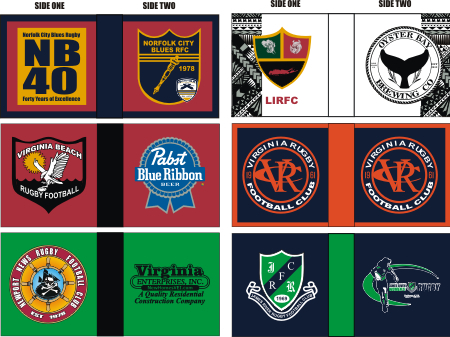 Replace your old final flags with these custom sublimated flag covers. These can be printed with a different logo on each side with any graphics you like. Just let us know what size your poles are and send us your art to: chilly@loverugbycompany.com. One set $140 Two sets $260 Three sets $360 NOTE: THESE DO NOT INCLUDE POLES.